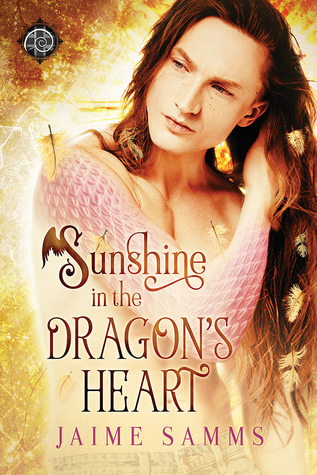 Sunshine in the Dragon’s Heart is a part of the Dreamspinner Press house line—Perchance to Dream series. This book had the potential to be a five-star read. However, between the super slow pace of the book and having problems with not being able to visualize some of the mystical creatures in the book even with the overabundant of details in their description and not being able to understand important parts of the book like the whole dragon egg bearer history, I had to give this book a three. At one point I wasn’t even sure if I was going to be able to finish the book. That was at about the sixty-five percent point. But I hate not finishing a book, and I was glad that I persisted since I loved the book from about the eighty-five percent point to the end. The book even managed to make me cry. But I just couldn’t get over the pacing of the book. It kept putting me to sleep. Sunny is supposed to be retiring to the northern Ontario wilderness to mourn his parents’ deaths, but he is portrayed more as a recluse—somebody that can’t stand to be around people in general and especially his sister. He does show moments of being sad about his parents, but he is too focused on the severely underweight man that he finds in his shed and nourishes back to health. Emile is likable enough. He has exiled himself to the human world to get away from his clutch mate, Hakko, who wants Emile to be his egg bearer and carry his offspring which is forbidden since they are too closely related and the offspring would be too powerful. But Hakko in his quest for power has gone power mad and can’t see how it will only lead to the destruction of dragons like what had happened in the past which has led to how careful they are with raising the eggs for other clutches and what not. He didn’t anticipate how hard it would be to live in his bipedal form or his attraction to the human, Sunny, who found him and nursed him back to health and allowed him to stay at his house. I also got tired of them chasing after the dog through the wilderness. It was used a lot and felt almost like a storyline crutch. I found the history of the dragons that Emile tries to explain to Sunny was confusing. I wasn’t sure if all of the dragons could be egg bearers in their soft scaled forms and essence givers in their hard scaled forms or not. I finally just figured that if they were in their soft scaled forms that they had female characteristics and if they were in there hard scaled form they had masculine characteristics. But like I said it was kind of confusing. I did like the interactions between Emile and Sunny. And I liked the Glimmerleaf, the mystical salamander, and Fernforest, the dog, and the dryads, pixies, and brownies. Overall it the book had potential to be great, but it wasn’t executed properly.